Only the best for the bride-to-be, right?! 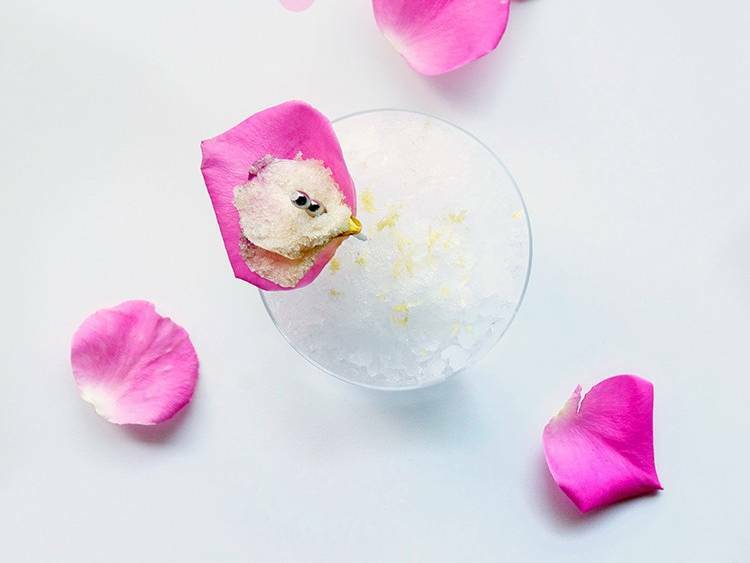 This boozy, rosy treat - topped with the prettiest garnish we've ever seen - is our official pick for THE bridal shower cocktail of the season! Always a bridesmaid never a bride?! We got you, girl. This week's Summer Botanical Cocktail goes out to the girl that's always stuck tagging along on wedding dress fittings and cake tastings, throwing bridal showers, and planning bachelorette weekends. And, hey, maybe you love all these wedding tasks tailored to your bestie, the bride-to-be... 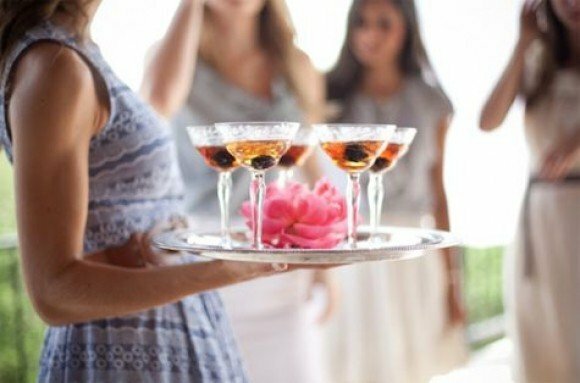 Regardless, we thought it would be nice to take one thing off your plate, and hook you up with a recipe for the best bridal shower cocktail ever. It's pretty, it's got plenty of booze, and we went ahead and made it a full on ode to the bride by naming it the Blushing Bride (yes, you will 10-15 extra gold stars for this!). Before we get going, we must give serious props to to the awesome Freutcake for the original recipe and all the gorgeous photos in this post - thank you!!! 2 oz of a floral gin such as Hendricks, G'Vine, or any of these. Start with a double rocks glass or something pretty that reflects the bride's style and/or theme of the party. Add the gin, Canton, rose water and lemon juice. Add crushed ice and stir. But, wait - there's more! The best part of this pretty and delicious little thing, are the sugared rose petals used for garnish. You don't HAVE to have these, but honestly, if you don't you are seriously missing out on making this the most impressive and delectable cocktail your guests will ever see. Whip the egg white until frothy. Take a single petal, dip into the egg white and then dredge through the sugar on both sides. Set aside on parchment and repeat. 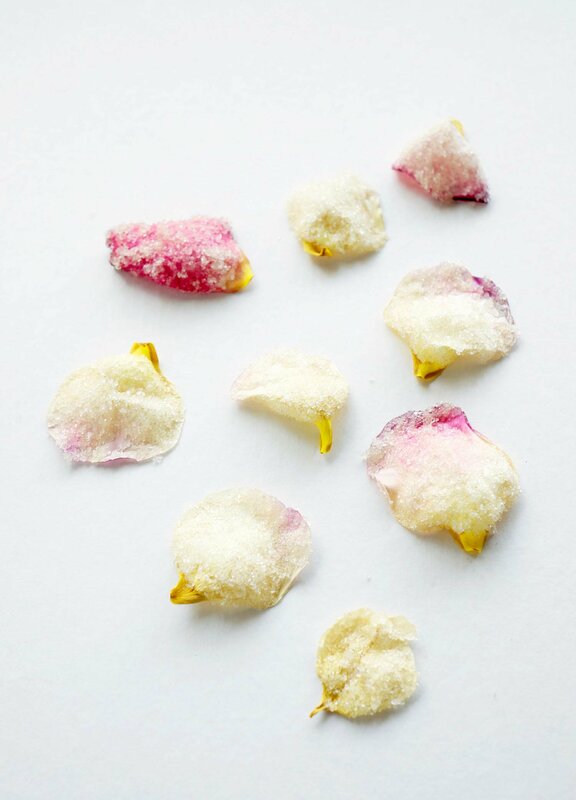 Let the petals air dry for at least 3-4 hours and then transfer to an air-tight container for storage if not using right away. Otherwise, garnish each cocktail with a couple pretty petals and some lemon zest, kick back and wait for the complements to start pouring in! There you have the best bridal shower cocktail ever! 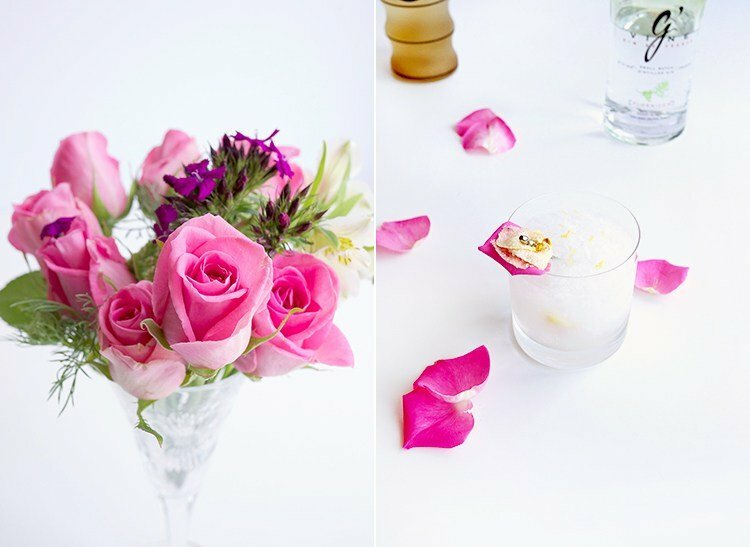 A beautiful blush colored cocktail for your beautiful Blushing Bride! 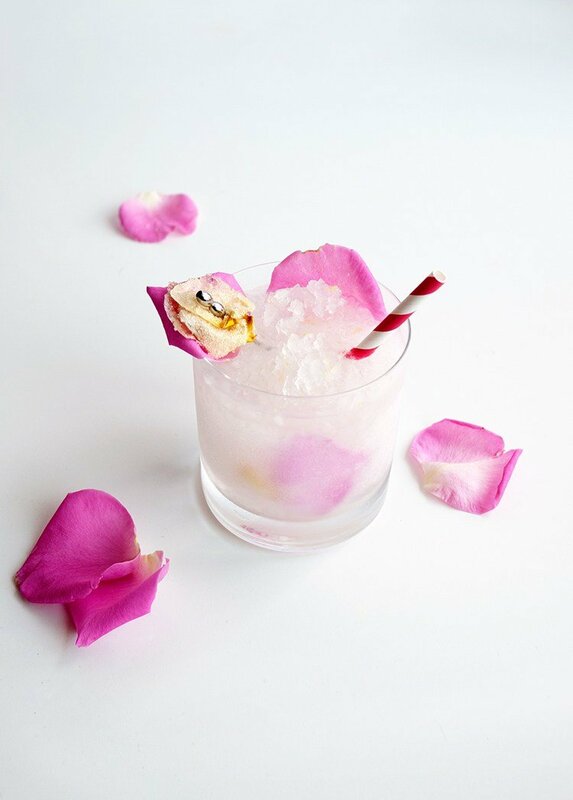 This one does take a little bit of effort - some of the ingredients aren't so easy to track down, and the sugared petals are a little bit of an ordeal to make - but the results are SO worth it (and so is your bestie, right?!). Thanks again to the amazing Freutcake for the inspiration and Elena of Stir and Strain for the photos!